The thickest shell on the market. Bearingless, self cleaning, screw in jets that will last a lifetime and won’t need to be replaced every 3-5 years like other jets. 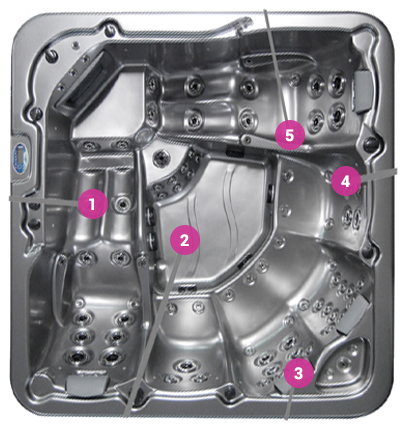 Every jet has a different massage effect- from accu-pressure to deep tissue. Jets can also be interchanged around the spa to tailor your hydo-massage experience. Non shrink headrests - No need to replace. 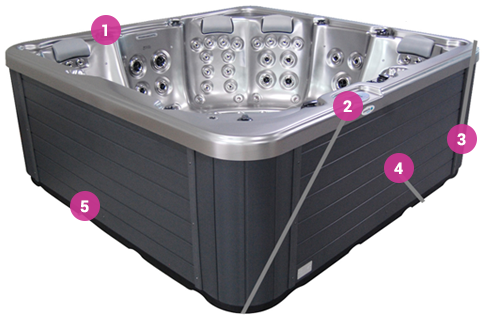 Premium ‘Spa Net’ control system with exclusive power saving and hear pump technologies. Triple braced frame for maximum strength. 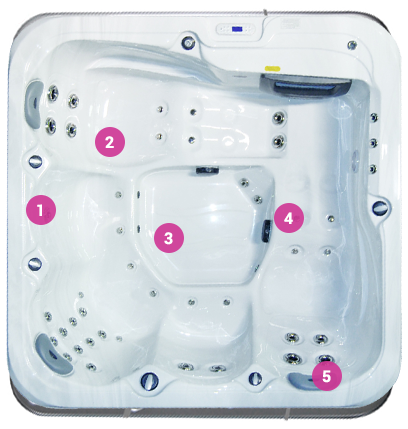 8 layer ‘Power Saver’ insulation system with ‘No Gap’ cabinet-cuts running costs so you save more than $3000 over the lift of your spa. 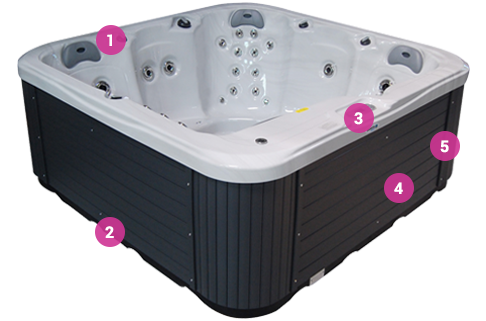 Wrap around solid fibreglass bass adds maximum strength while protecting the frame and stopping cold air entering your spa. All new designs offer more internal room and maximum comfort. 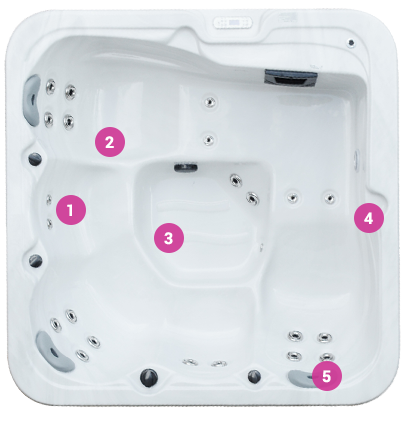 Specialised seat designs stop you floating like you will in many other spas. 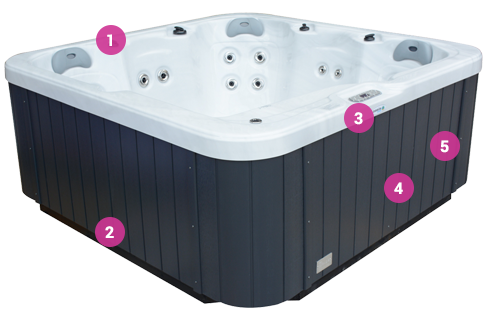 Automatic digital control system, controls pumps, bubbles, temperature and lighting as well as automatic heating and filtration- just set and forget! Non shrink headrests- No need to replace!